Fed up with the winter weather! 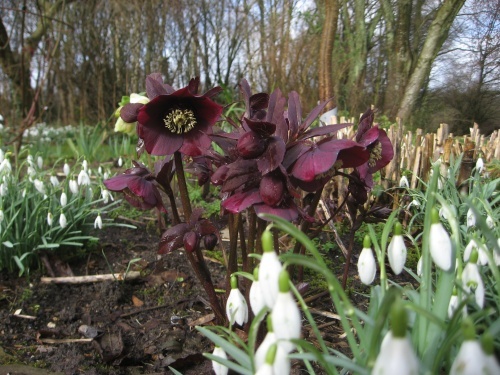 Why not visit our snowdrop and hellebore garden? Our Spring Garden will be open by appointment only for the National Garden Scheme for visitors to enjoy. The garden can be visited from mid-February to mid-March 2018. All proceeds from the garden visits go to the NGS caring and nursing charities. Groups of 10 to 30 welcome but only by advanced booking. The modest fee includes coffee and cake and garden tour if required. Individuals/small groups can be added to existing group bookings. Wear warm clothes and sensible sturdy shoes. The garden can be reached by bus to the Jack and Jill Pub and from Hassocks station on foot along the Cinder Path public footpath. We do hope that you will get in touch and make an appointment to visit our garden.